Social media has become a place where people not only post personal info but share their experiences with brands as well. While this makes negative comments more widely known, it first and foremost provides a great opportunity to increase brand awareness, reach a wider audience and drive sales. You will obviously get notified on social media channels when someone tags you on a post, but people tend to gossip without letting you know. Thus, as a rule, you see only a fraction of what people think and talk about you. A social media monitoring tool is the best way to follow the buzz around your brand on social networks. Why should you invest time and efforts on such a tool? According to Social Media Today, 71 % of shoppers’ buying decisions are influenced by social media. Still not convincing enough? Read our 5 tips about the benefits of a social media monitoring tool. No one is perfect. Sometimes companies make mistakes and clients get frustrated. In return, people tend to share their problems with brands in social media. What could be a better way to make up for a fault than to provide a quick response with a top-notch solution? A social media monitoring tool helps to spot complaints as they happen and to fix them before it can damage the company’s reputation. Make sure all of your departments communicate well with each other in order to provide a fast response to any issue. For example, JetBlue does their best to let their customer know they take care of them. 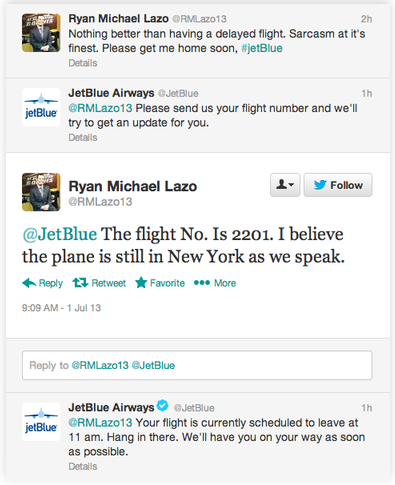 Image: Look how timely JetBlue reacted on the passenger’s complaint. Even though the company could not make a plane’s engine work faster, the airline provided the latest updates of the flight status. What people post on social networks is not only complaints. Many of us use social media outlets to share the products we love. Finding positive feedback and responding to it can be easily done with a social media monitoring tool. 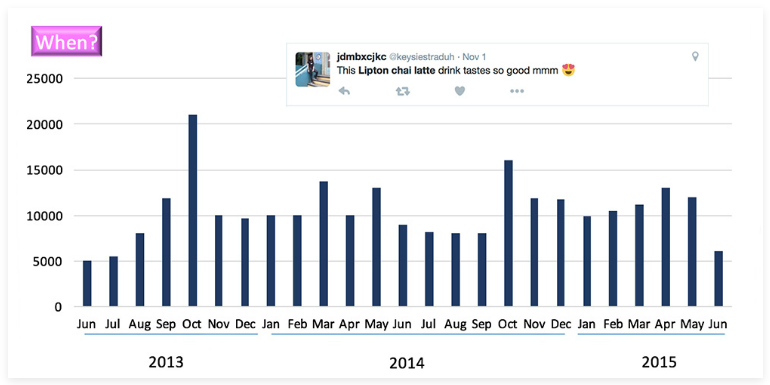 Starbucks seems to be the go-to case when it comes to social media communication. 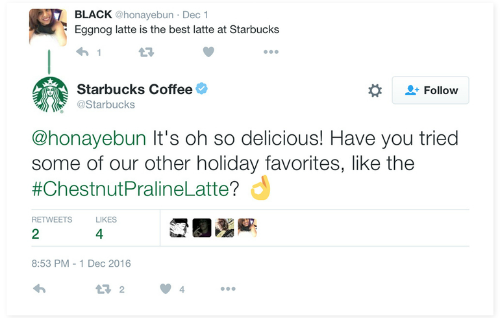 Image: By engaging in the conversation with a joyful customer, Starbucks not only ensured the customer’s retention but also boosted cross-selling. The sweetest part about competitor monitoring is the opportunity to take advantage of a competitor's faults. Spot an unhappy rival’s customer and help them. Image: Close.io has managed to attract competitor’s client easily by giving them a helping hand at the right time. Monitor trends about your product or service usage as well as industry news and adjust your product line accordingly. 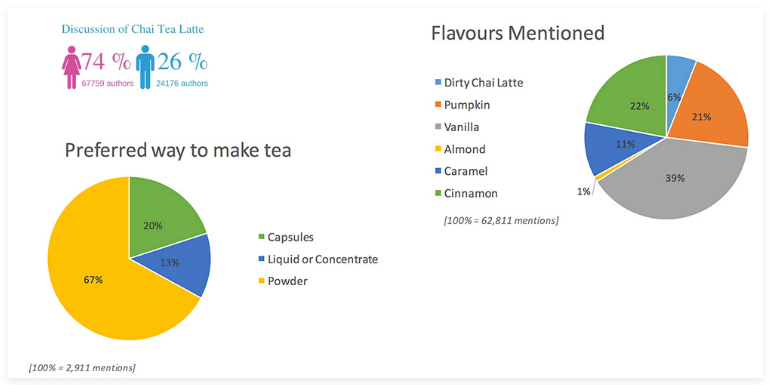 See how Lipton successfully applied a monitoring tool to identify the key trends about its brand-new Chai Tea Latte. Regardless of the industry, you can easily see that some people become more noticeable in social media. These persons are known as influencers. Companies are actively using their popularity to promote the brands. The monitoring tool is a good way to find such influencers. With the help of the tool, you can also listen to the buzz happening around an influencer and identify their relevancy to your brand. Finally, simply reach out to a relevant person and reap the benefits of the endorsement deal. Image: Victoria Secret promotes their products via popular beauty blogger Sonya Esman. LianaMonitor is a killer online monitoring service that follows journalistic web media, blogs, forums and social media channels. 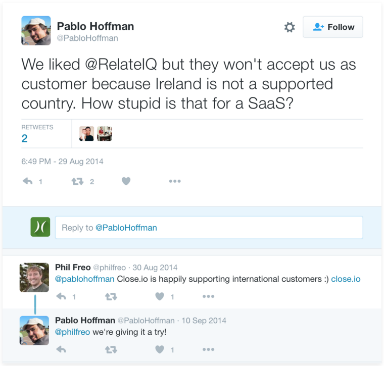 With the help of the tool, you can track social media discussions relevant to your company. Thanks to its user-friendly interface, you can effortlessly go through the results of the monitoring and read the news that you find interesting - even with your mobile phone. Our support team is always ready to help you get to know the tool better, to adjust the service according to your needs, and to provide assistance in the future whenever needed. Contact us and we will build a solution suitable to your needs! Elena is a Marketing Coordinator at Liana Technologies. When you don't see her passionately writing a new blog post for Liana, you can find her baking delicious cheesecakes or jogging. You can connect with her on LinkedIn or follow her on Twitter.